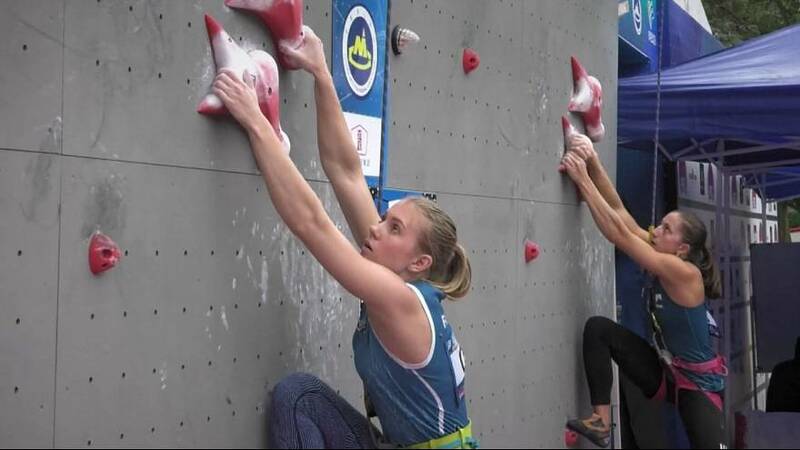 France’s Anouck Jaubert proved too strong for her opponents in Wujiang as she became the first Athlete to secure four Climbing Speed World Cups in a season. The young sensation looked in great shape and edged out Russia’s Luliia Kaplina in the showpiece match with Poland’s Aleksandra Rudyinska having to settle for third place. In the men’s event, local favourite Qixin Zhong gave the home crowd something to cheer about when he outclassed Russian rival Vladislav Deulin in the final. Marcin Dzienski of Poland completed the podium, enough to secure top spot in the overall standings.